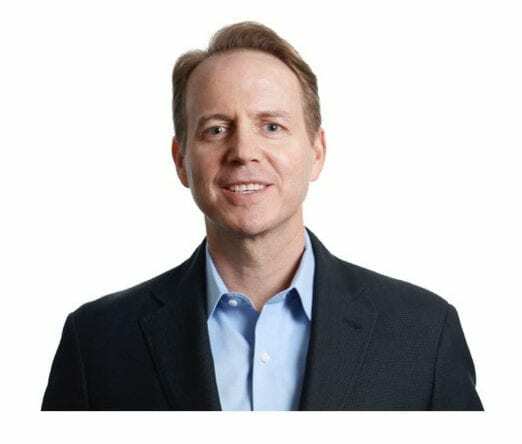 David Henshall became the President and CEO of Citrix in 2017, after working there since 2003 as CFO and then CFO/COO (He served as acting CEO in 2013-2014). He has more than 25 years of technology management experience. During his tenure over the last year and a half, he has led the company through a massive business model pivot and made a significant investment in its technology. The results are impressive: Citrix has expanded into new markets while remaining profitable and consistently beating earnings expectations quarter-over-quarter. Here’s part 1 of my discussion with him about taking on the CEO role and transforming Citrix. How did you become a CEO and did you always aspire to be one? I did not imagine being a CEO as much as I had an inherent love of technology. The fascinating pace of change cuts across so many different industries. I wanted to drive that change and create something new and unique in the world. This is what drew me into tech originally. I’ve now been in the tech world for nearly 30 years and can’t imagine being anywhere else. My background is in finance but more of operational finance. It’s much more impactful long term to be working not just in the tech discipline but on the operational side. It encompasses breadth of strategy, execution, customers, and the entire business end-to-end. Over the years I’ve continued to raise my hand any time something new came up to learn. Was there a key break or a job that accelerated your career, but you weren’t sure you were ready for it? I began my career in Silicon Valley in 1990. The industry was evolving so fast and growing quickly. I’ve always had an innate curiosity and wanted to take advantage of any opportunity. The best leaders aren’t necessarily always fully prepared to stretch into something new. Throughout my career, I’ve been fortunate to have people willing to take a chance on me and give me the opportunity to step into roles I was not ready for. Any role I’ve ever had was the first time I’d done that job. At a younger age it may have been discomforting, but over time I’ve grown to see new roles as one more interesting challenge. I’ve been fortunate to have several mentors and sponsors. The president of Rational Software gave me my first CFO job in my early 30s. Tom Bogan was a long-time member of the Citrix board and served as a mentor to me. Mark Templeton was the long-time CEO of Citrix and recruited me. He was my partner in crime for over a decade transforming Citrix as the technology and customer needs changed. Did you get a long runway knowing you were going to be CEO? Or was it dropped on you one day? It actually happened twice: I was asked to be interim CEO when Mark had a personal tragedy. I was the COO and CFO at that time. The board told me that I was the acting CEO and that we were going to make the announcement that night, so get ready. It was a trial by fire, but my operational background within the company allowed me to manage it effectively. I knew the business inside out as well as our customers and partners. In addition, I was a known entity within the organization, so it was seamless from a team standpoint. Then about 18 months ago the board asked me to step back into the role on a permanent basis. What most surprised you coming from the CFO chair? Was there something you did not realize the CEO had to deal with? The clichés about the CEO role are true: It’s a lonely job. You are ultimately accountable. The key is not to try to do everything yourself but make sure we have the right people in the right jobs. It’s about setting the tone and prioritizing bigger picture items. I am responsible for broad-based communications to the board and investors. The role is more about directing strategy than owning and driving execution. It’s an interesting transition for someone like me who’s been operational. Yet my background gives me a more instinctive knowledge of how the company operates. You’ve now faced the challenge of going from being peers with your co-workers at Citrix to the executive team to CEO. Have you found that your relationships have changed with people you used to be close to in the company? To be successful, you need strong relationships with all leaders. Over the years I’ve moved through being a subordinate to a peer to taking on larger responsibilities. I’ve maintained a hierarchy for the benefit of scaling but otherwise I take an egalitarian approach. You must trust and empower your leaders and employees. You have to support them so they can be successful. It’s about alignment and collaboration. When you took over as permanent CEO, was there a clear mandate for change or did you figure out what Citrix needed to do and let the board know? There was not a clear mandate. I agreed to take the job after I presented to the board what I think needed to happen. I was only going to be successful in the role if the board supported that direction. I proposed transforming Citrix in three areas: One, accelerate to the cloud. We needed to build a portfolio of cloud products that mirrored our traditional products. Our customers are all on some form of cloud journey, whether it’s deploying their first SaaS app or fully embracing public clouds and services. We needed to meet them on that journey. Two, we needed to align our portfolio from building products to solutions. We have moved away from business units to a functional structure. We have new leadership in many areas as we transition to a more horizontal workflow solution type vs. building point products. We’ve up-leveled the messaging, branding, and engagement with C-level customers. Three, we needed to use that fundamental platform to expand into new areas of growth. As we’ve adopted cloud, we’ve grown into new areas such as network services and analytics. Our core portfolio mission now gives us a runway for future growth. That sounds like an aggressive change agenda. How many executives that you started with as CEO are still with you? Only two current members of the leadership team have more than three years of tenure. They were hired when I was COO or CFO. As we transform from a product to a cloud company, it requires different leadership skill sets along the way. With the move from business units to a functional structure, we now have more global leaders for areas such as product, sales, and engineering. We’ve recruited people from companies such as Microsoft, SAP, and EMC that have operated an organization at the scale we’re driving right now. In part 2 David discusses how he leads Citrix as CEO and advice for current and aspiring CEOs.